I’ve never been so happy to see a finish tape in my entire life. 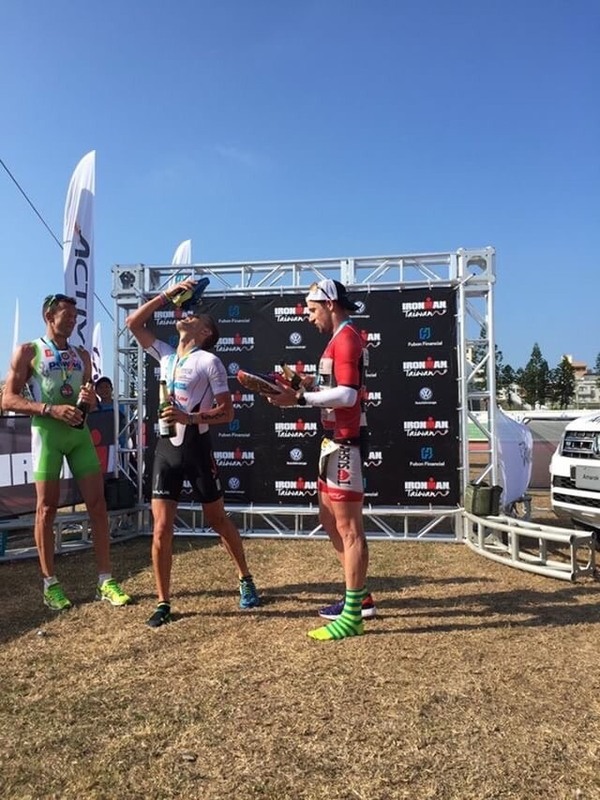 Simon Cochran (right) reminding us that it’s best to drink your podium champagne out of a shoe (it’s an Aussie/Kiwi thing I guess). Marino isn’t impressed. 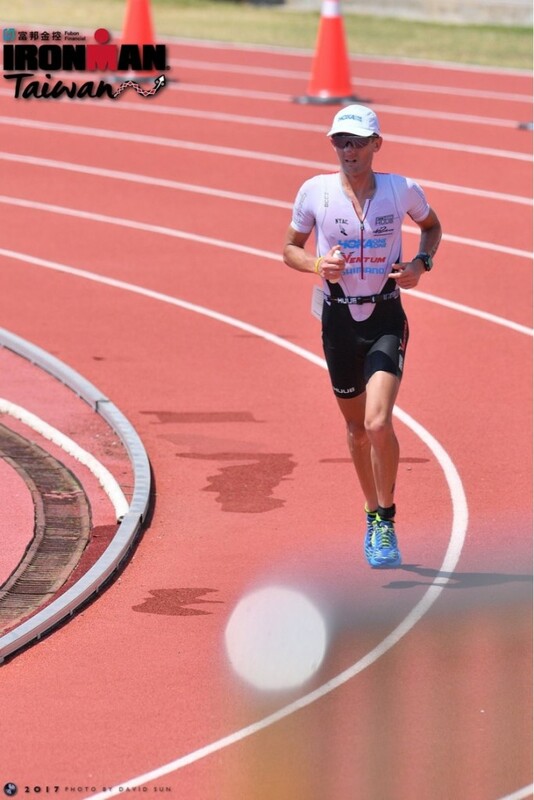 107 degrees Fahrenheit – that was the “real feel” temperature on the run course in Taiwan. For reference, I just checked Kona weather and the highest real-feel temperature today is 91F at 3pm. Doing the math…Taiwan was hotter. Now, I’m not trying to take anything away from Kona conditions. 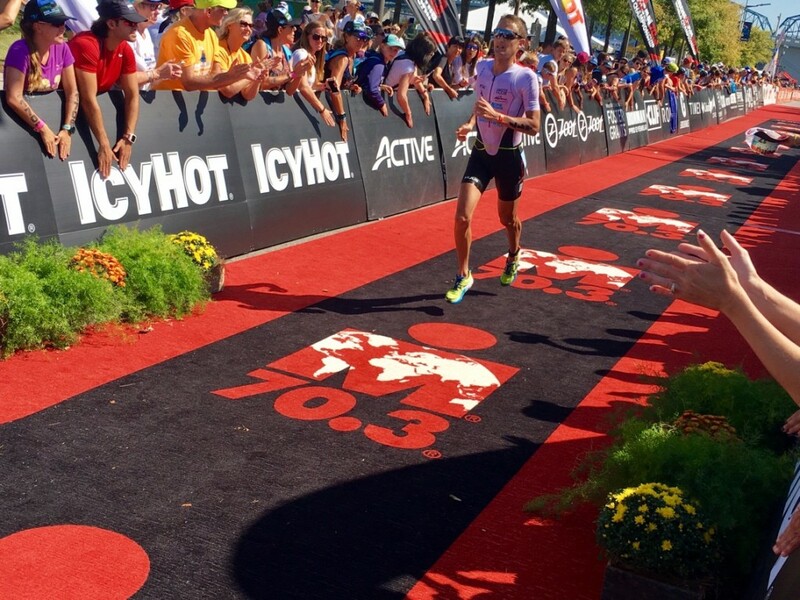 Kona is hot, and it’s a major factor in how the race plays out, but at least people are still racing each other. Penghu Island, Taiwan was 91F BEFORE THE SUN EVEN CAME UP. I came to Taiwan to test myself in the heat but to be honest this seemed over the top. “I’m looking forward to getting to Kona next week if only because it’s so much cooler!” said Guy Crawford, kinda joking but not really. Dripping in sweat, I set up my T1 as fast as I could so I could head down to the swim start and float in the cool ocean water. The swim was the best part of the day with water temperatures coming in at a brisk 75F. 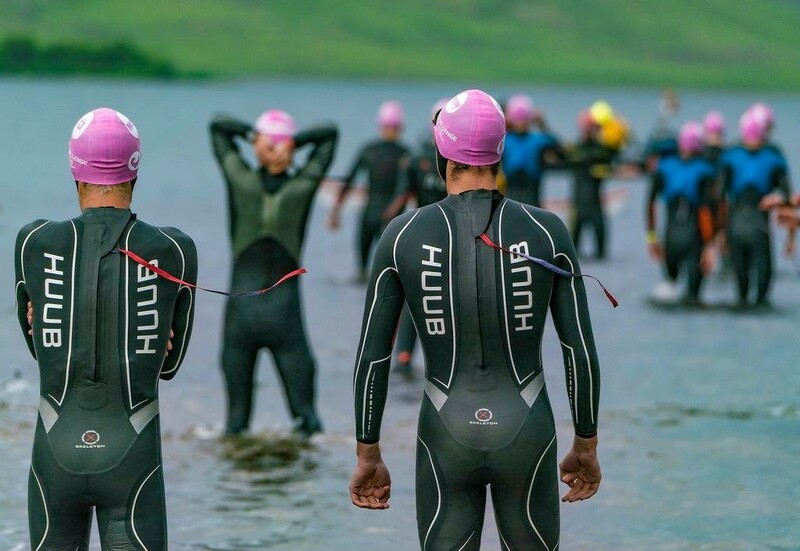 I surprised myself leading the swim out with Balazs Csoke and Jaroslav Kovacic in tow – it’s been a rough couple of months in the water after my bike crash in Iceland (more on that below). A fast T1 and I was out onto the bike by myself, wondering when Marino Vanhoenacker (16 time IM winner and former IM record holder) was going to catch me. My power meter was dead, probably because of the swampy overnight conditions in the transition area, so I had no data except time and distance. 10, 20, 30, 40km passed and no Marino. 50, 60, 70, 80, nothing. I hit 90km at 2 hrs 10 minutes and as I started my second lap I saw that Marino was almost 8 minutes behind me! This was unexpected. Apparently I had 18 minutes to Guy Crawford and Simon Cochran (eventual 3rd and 5th places) and I earned myself the nickname “Kamikaze Collington” – they figured I was going so hard that I would be in the hospital by the end of the day. Fortunately I also have another nickname – “Conservative Kev.” With an eight minute lead on Marino I backed off the intensity considerably. In fact I’m pretty sure I averaged about 180 watts for the 2nd half of the bike course (that’s not a lot you guys). Everyone brought back time on me, but I spent my time sensibly coming to complete stops at aid stations and asking them to hand me more bottles so I could fill my trusty Ventum frame bottle all the way up. I came into T2 with a only 90 seconds on Jaroslav, with Marino about five minutes behind. The run was all about survival. I walked every aid station and jogged 6:45 minute miles in between. It wasn’t a lot of fun. With no shade to be found anywhere and those 107F “real feel” temperatures starting to feel pretty real, it became 3 hours and 7 minutes of keeping my body temperature below “complete shutdown” levels. Walking through the aid stations I grabbed entire bottles of water to drink and/or dump over my head, downed a bunch of calories, or simply hurled my entire upper torso in the giant vats of ice water. The race boiled down to a test of who could survive while going the fastest. I thought my slow aid station walks were going to eat into my time gaps in a major way, but the gaps actually went up! Marino gave me a high five on the last lap. Good times. Actually the whole thing was horrible, but you know…good in retrospect. Aid station full walk mode. 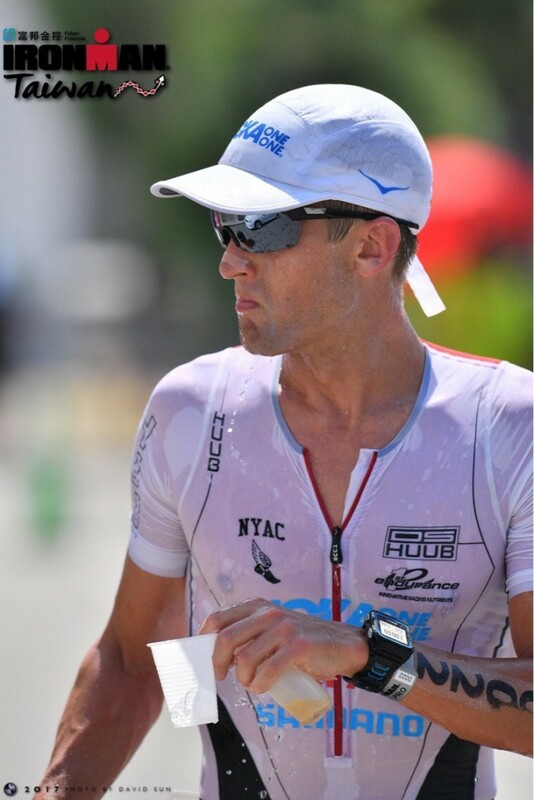 I got my test in the heat, a nice head start on 2018 Kona qualification and – I’m gonna say it – I’m looking forward to racing in the slightly cooler conditions of Kona next year. It’s hot enough in Hawaii to affect the race, but not so hot as to be completely ridiculous. So if you’re racing Kona this week enjoy those cooler temps! 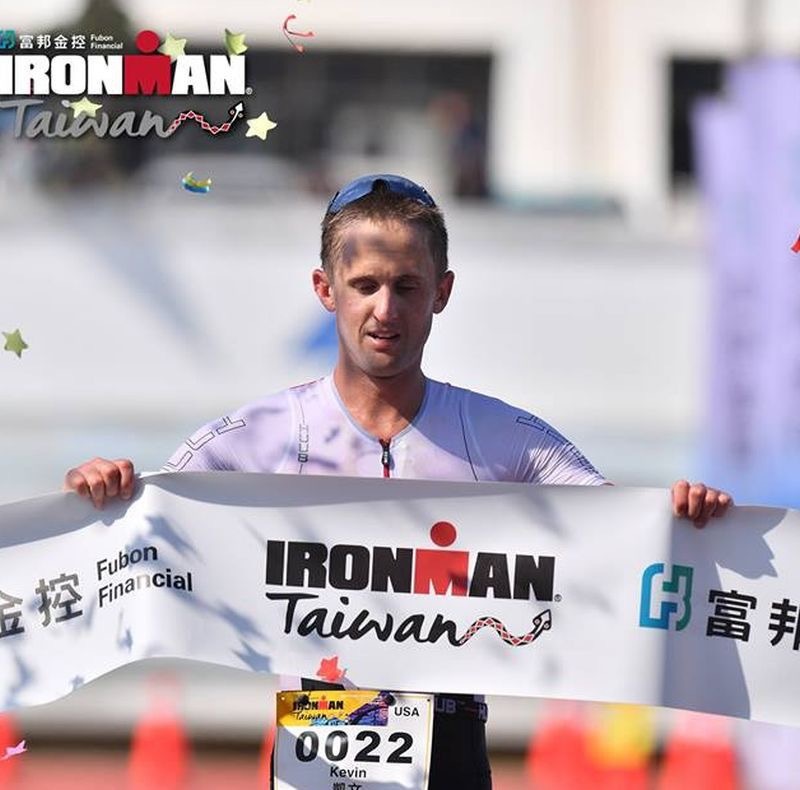 And if you’re still trying to qualify for Kona maybe Taiwan is the race for you – you’ll get a trial by fire and if you survive you have a pretty good shot of grabbing a Kona slot. Running away from my bike as fast as I can. We ran a half lap of a track on each lap. Real feel temps 1 billion. A blustery day in Iceland back in July. I got blown off my bike by a 50 mph wind gust. I’m not exaggerating. Anyways this is where I hurt my shoulder and couldn’t swim for a month. 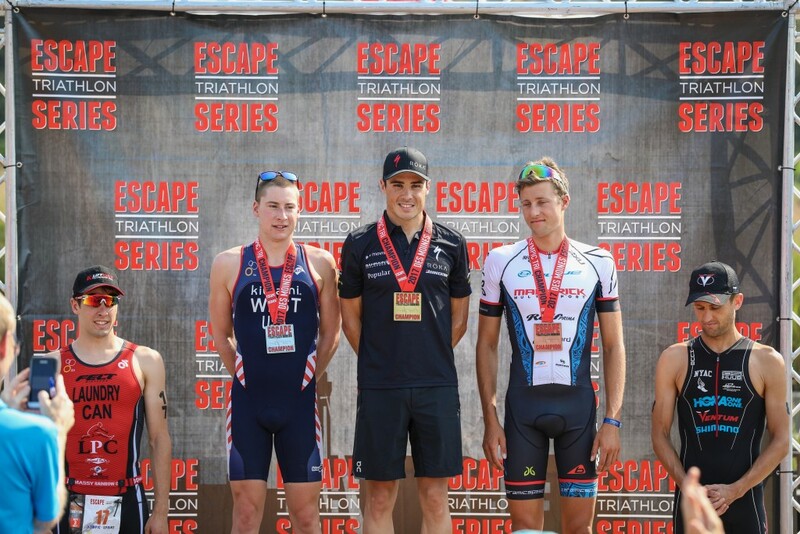 The Des Moines Escape Triathlon in early September. 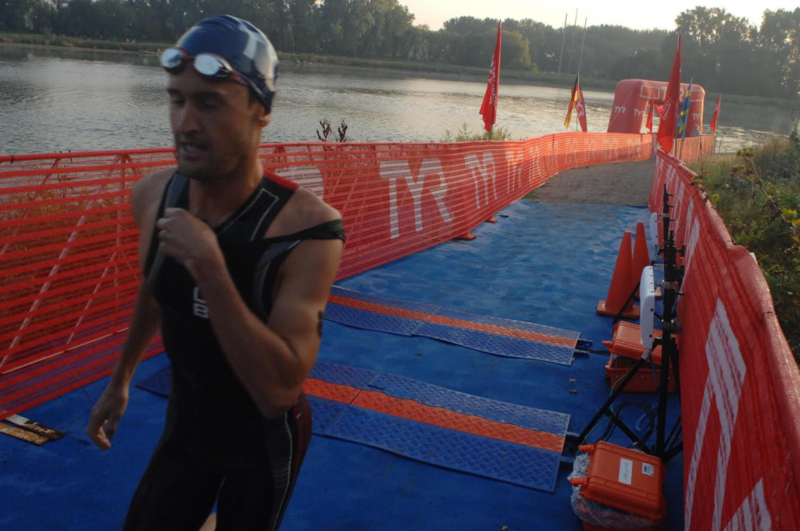 Here I am coming out of the water in last place. Uncharted territory. Fifth place in Des Moines to these legends. 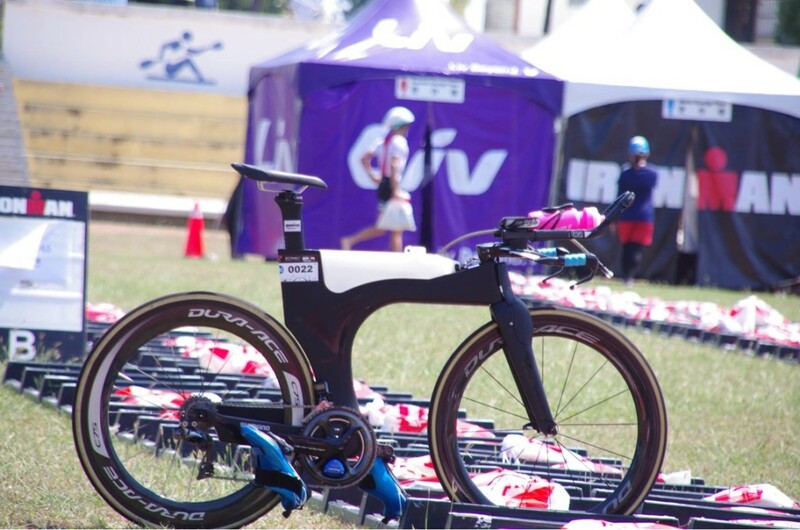 70.3 World Champs – another bad swim put me in a less than ideal spot. 16th place. 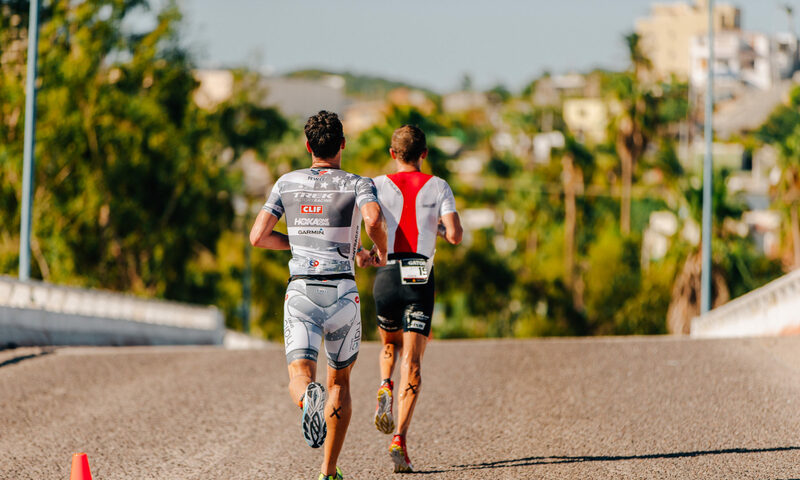 A couple more races coming up to close out the 2017 season – Cabo 70.3 and Cartagena 70.3. One last thing: a podcast I did about IM Taiwan with Endurance Junkie Podcast. Have a listen!